The toddler enclosure play panel set has been specifically designed with early learning in mind as the panels help the children to develop their gross motor skills, ideal for any school or nursery pretend play area. This set features 6 panels including fence, gate, magnetic, plain, mirror and sensory panels. Manufactured in the UK using sustainably sourced high quality hardwood, the toddler play panels enclosure set comes with a 5 year manufacturer’s guarantee. 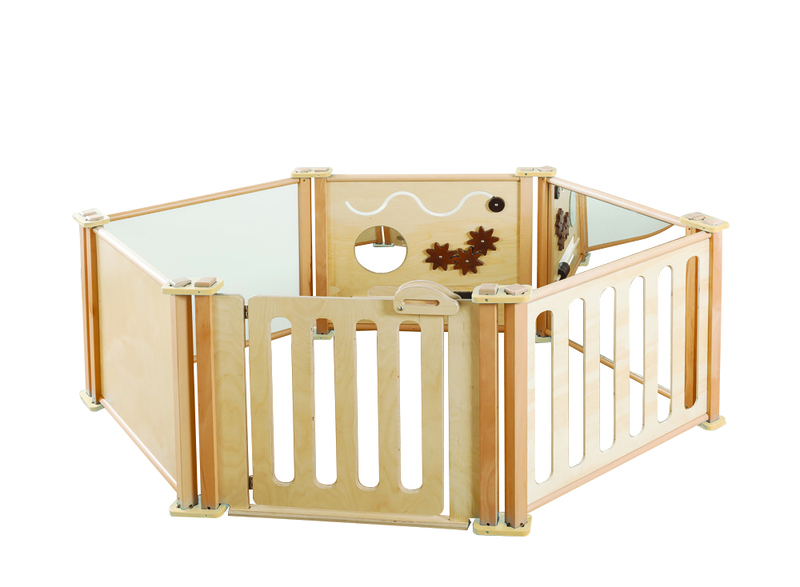 The panels are delivered fully assembled and simply have to be linked together with the linking kits supplied to create your toddler enclosure. 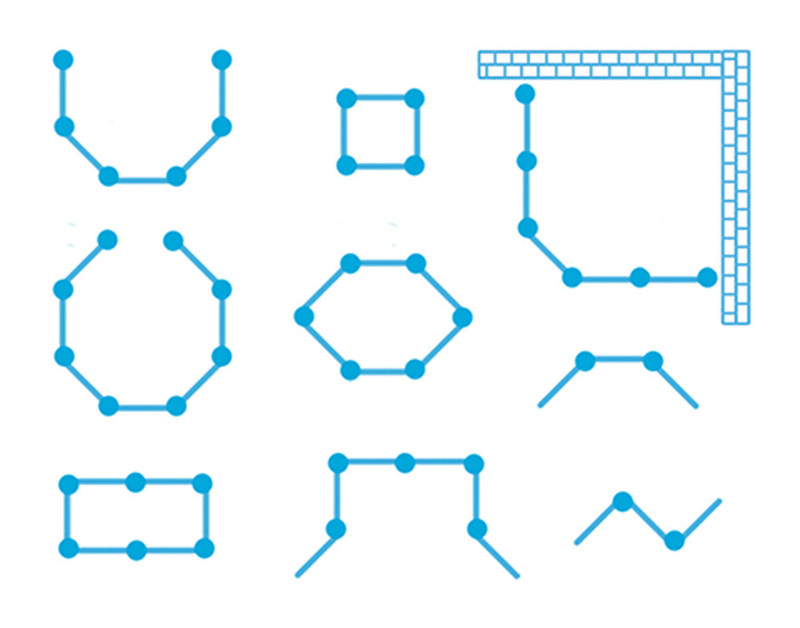 You can use the linking kits to create a configuration to suit your needs.